Sep volume was up 18% yoy despite the lack of new sizeable launches. In our view, the higher volume amid price uptick reaffirms sector recovery. Retain sector Overweight. Sector top picks – UOL, City Dev, Capitaland and Wing Tai. According to Urban Redevelopment Authority (URA) data, despite the lack of any new sizeable launches, developers sold a total of 906 private residential units and Executive Condominiums (EC) in Sep, up 18% from a year ago. Private residences made up 73% of total transactions and showed a 29% expansion yoy. Projects in the Outside Central Region (OCR) and Rest of Central Region (RCR) accounted for c.91% of total ex-EC sales. Ongoing projects that continue to garner buying traction include Kingsford Waterbay, Principal Garden, Symphony Suites and North Park Residences. Total private homes and EC sales for 9M17 amounted to 13,235 units, up 44% yoy, while cumulative private condo sales came in at 9,582, up 63% yoy. The latter is on the upper end of our volume expectations for the year as market sentiment continues to be upbeat. 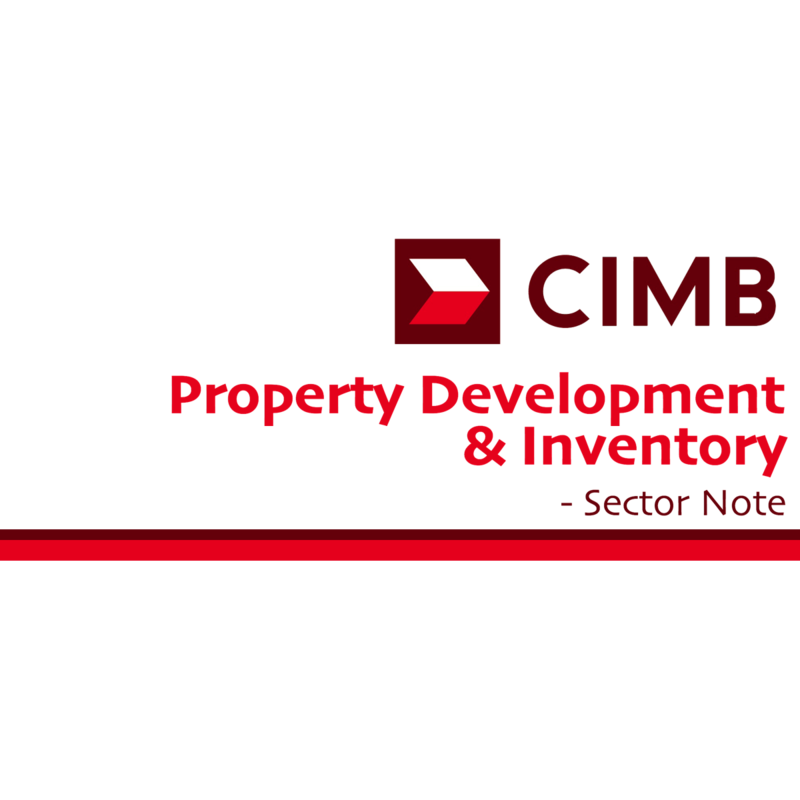 Developers have been actively restocking with 10 residential enbloc transactions concluded YTD, with strong pipeline visibility. In addition, government land sales continue to receive many bids. Land prices continue to reflect expectations of higher end-product pricing when launched. The URA property price index showed its first upturn in 3Q17, with a 0.5% qoq improvement, after a 15-quarter reversal. The strength in prices was felt in the Core Central Region (CCR) and OCR locations while city fringe prices remained stable. This further reaffirms our view that the private residential market is on the mend. Property stocks are trading at a 25% discount to sector RNAV, the narrowest discount since 2012 and at 0.93x P/BV. Despite the outperformance, we believe the sector will still outperform the broader market given the evidence of physical market and sentiment recovery. Hence, we stay sector Overweight and continue to favour UOL, City Dev, Capitaland and Wing Tai as our top picks. Catalysts such as increase in land restocking would continue to boost RNAV and share prices. Key risks include faster-than-expected rise in mortgage rates that could erode affordability, or slower than projected economic growth. We like CAPL for its ROE-boosting capital recycling activities. The stock is trading at a 29% discount to RNAV. Singapore and overseas residential earnings continue to underpin near term growth. CIT’s low gearing of 0.16x and resumption of landbank restocking activity should underpin RNAV expansion, in our view. UOL has a high recurring income base, underpinned by rentals, hotel operations and investment holdings. It has good office exposure through UIC. The stock is trading at a 21% discount to RNAV.